Hydrating botanical shampoo with sweet orange for normal hair. 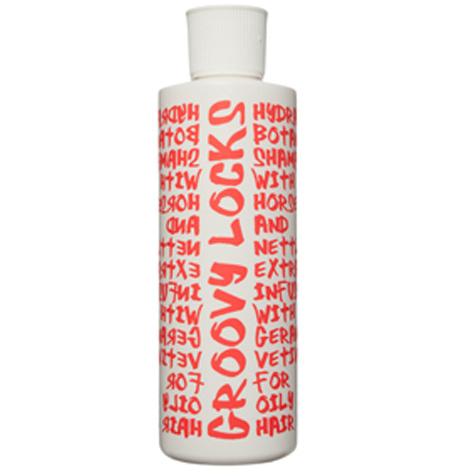 A mild, sulfate free... GROOVY LOCKS HYDRATING BOTANICAL SHAMPOO Orange Vanilla - Normal Hair PHYTO SHAMPOOING USAGE FREQUENT cheveux normales 8.5 FL.OZ 255 ML A mild, sulfate free botanical shampoo for everyday use infused with organic herbal extracts to moisturize, condition and re-structure hair. Directions: Apply to wet hair and lather. Rinse thoroughly. 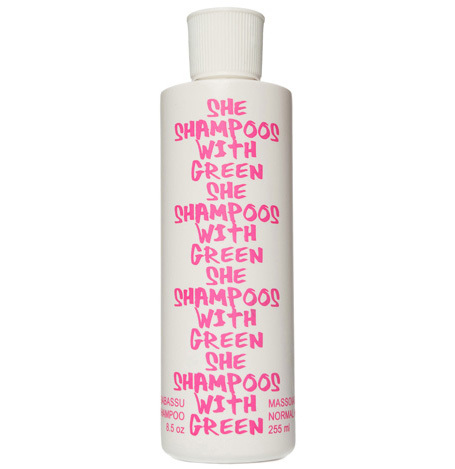 Hydrating botanical shampoo with ylang ylang for dry hair. 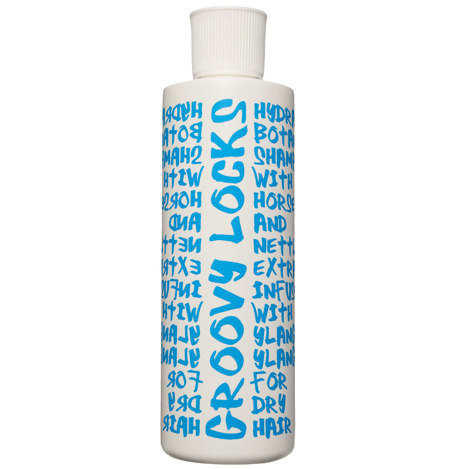 A mild, sulfate free... GROOVY LOCKS HYDRATING BOTANICAL SHAMPOO Ylang Ylang - Dry Hair PHYTO SHAMPOOING USAGE FREQUENT cheveux seches 8.5 FL OZ 255 ML A mild, sulfate free botanical shampoo for everyday use infused with organic herbal extracts to moisturize, condition and re-structure hair. Directions: Apply to wet hair and lather. Rinse thoroughly. 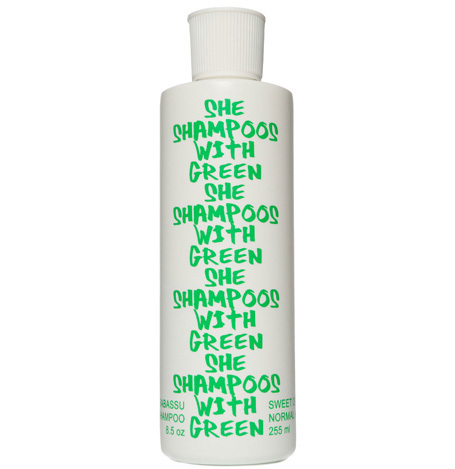 Hydrating botanical shampoo with geranium and vetiver for oily hair. 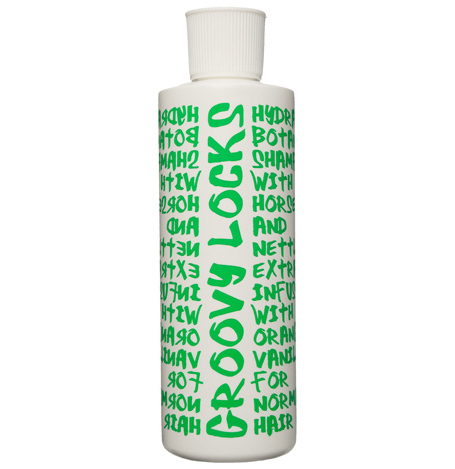 A mild, sulfate free... GROOVY LOCKS HYDRATING BOTANICAL SHAMPOO Geranium Vetiver - Oily Hair PHYTO SHAMPOOING USAGE FREQUENT cheveux grasses 8.5 FL OZ 255 ML A mild, sulfate free botanical shampoo for everyday use infused with organic herbal extracts to moisturize, condition and re-structure hair. Directions: Apply to wet hair and lather. Rinse thoroughly. Flower infusion shampoo. A rich, sulfate free botanical shampoo for everyday use infused... 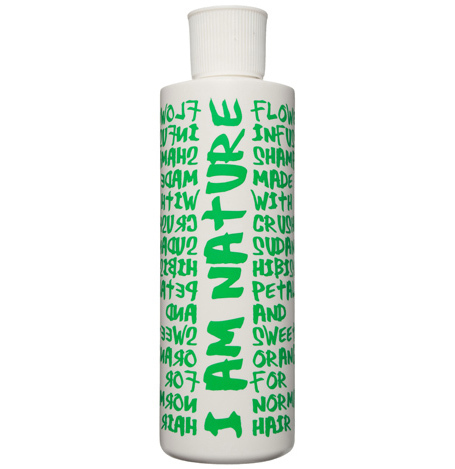 I AM NATURE FLOWER INFUSION SHAMPOO WITH HIBISCUS PETALS AND SWEET ORANGE all hair types SHAMPOOING PHYTO AROMATIQUE AVEC HIBISCUS toutes cheveux 8.5 FL.OZ 255 ML A rich, sulfate free botanical shampoo for everyday use infused with organic flower extracts to hydrate and condition hair and promote luster. Directions: Apply to wet hair and lather. Rinse thoroughly. 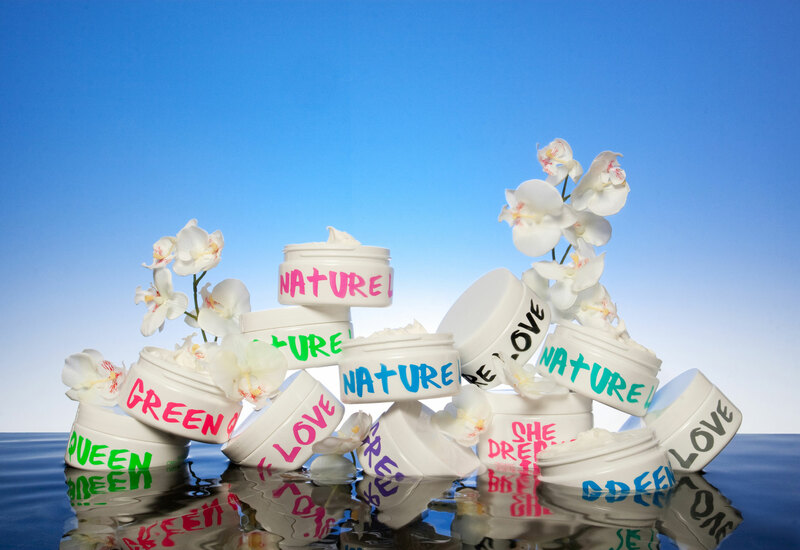 Botanical cream rinse. A rich conditioning rinse for everyday use made with natural vegetable oils... 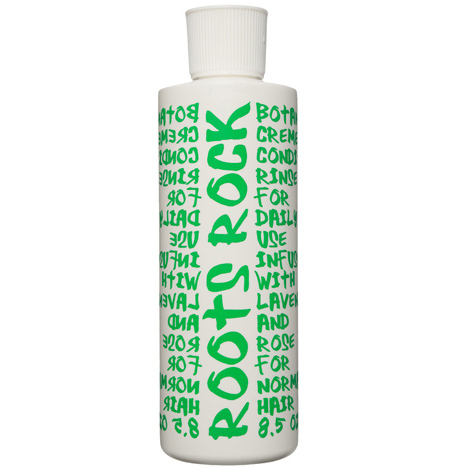 ROOTS ROCK BOTANICAL CREAM RINSE INFUSED WITH LAVENDER AND ROSE FOR DAILY USE all hair types BAUME DEMELANT BOTANIQUE AVEC LAVANDE ET ROSE USAGE QUOTIDIEN toutes cheveux 8.5 FL.OZ 255 ML A rich botanical cream conditioning rinse for everyday use made with natural vegetable oils and extracts from organic plants and flowers to add body, spring and shine to hair. Directions: Apply a small amount to damp hair. Leave in 2-3 minutes. Rinse thoroughly. Babassu shampoo with sweet orange for normal hair. A rich and luxurious botanical... SHE SHAMPOOS WITH GREEN BABASSU SHAMPOO Sweet Orange - Normal Hair PHYTO SHAMPOOING AVEC HUILE BABASSU ET L'ORANGE DOUCE toutes cheveux 8.5 FL.OZ 255 ML A rich and luxurious botanical shampoo made with organic Brazilian Babassu oil from the Amazon and extracts from organic and wildcrafted plants and flowers to cleanse, hydrate and condition the hair. Directions: Apply to wet hair and lather. Rinse thoroughly. Babassu shampoo with geranium leaf for normal hair. A rich and luxurious botanical... SHE SHAMPOOS WITH GREEN BABASSU SHAMPOO Geranium Leaf - Normal Hair PHYTO SHAMPOOING AVEC HUILE BABASSU ET GERANIUM toutes cheveux 8.5 FL OZ 255 ML A rich and luxurious botanical shampoo made with organic Brazilian Babassu oil from the Amazon and extracts from organic and wildcrafted plants and flowers to cleanse, hydrate and condition the hair. Directions: Apply to wet hair and lather. Rinse thoroughly. Babassu shampoo with massoia bark for normal hair. A rich and luxurious botanical... SHE SHAMPOOS WITH GREEN BABASSU SHAMPOO Massoia Bark - Normal Hair PHYTO SHAMPOOING AVEC HUILE BABASSU ET MASSOIA toutes cheveux 8.5 FL OZ 255 ML A rich and luxurious botanical shampoo made with organic Brazilian Babassu oil from the Amazon and extracts from organic and wildcrafted plants and flowers to cleanse, hydrate and condition the hair. Directions: Apply to wet hair and lather. Rinse thoroughly. Babassu conditioner with sweet orange for normal hair. An ultra-rich cream conditioner... SHE CONDITIONS WITH GREEN BABASSU CONDITIONER Sweet Orange - Normal Hair APRES-SHAMPOOING DEMELANT AVEC HUILE BABASSU ET L'ORANGE DOUCE toutes cheveux 8.5 FL.OZ 255 ML An ultra-rich cream conditioner made with organic Brazilian Babassu oil from the Amazon and extracts from organic and wildcrafted plants and flowers to hydrate, replenish and condition the hair. Directions: Apply a small amount to damp hair. Leave in 2-3 minutes. Rinse. Babassu conditioner with geranium leaf for normal hair. An ultra-rich cream conditioner... SHE CONDITIONS WITH GREEN BABASSU CONDITIONER Geranium Leaf - Normal Hair APRES-SHAMPOOING DEMELANT AVEC HUILE BABASSU toutes cheveux 8.5 FL OZ 255 ML An ultra-rich cream conditioner made with organic Brazilian Babassu oil from the Amazon and extracts from organic and wildcrafted plants and flowers to hydrate, replenish and condition the hair. Directions: Apply a small amount to damp hair. Leave in 2-3 minutes. Rinse. Babassu conditioner with massoia bark for normal hair. An ultra-rich cream conditioner... SHE CONDITIONS WITH GREEN BABASSU CONDITIONER Massoia Bark - Normal Hair APRES-SHAMPOOING DEMELANT AVEC HUILE BABASSU ET MASSOIA toutes cheveux 8.5 FL OZ 255 ML An ultra-rich cream conditioner made with organic Brazilian Babassu oil from the Amazon and extracts from organic and wildcrafted plants and flowers to hydrate, replenish and condition the hair. Directions: Apply a small amount to damp hair. Leave in 2-3 minutes. Rinse.